XP Broadcasting is a company situated in the Bellville, Cape Town area with a range of professional, affordable services. These services include radio streaming, church streaming, audio streaming, in store radio, high school and campus radio, radio station technology and sales. All the equipment needed is supplied by XP Broadcasting and we also do maintenance to ensure that you are always one step ahead. Contact us today. 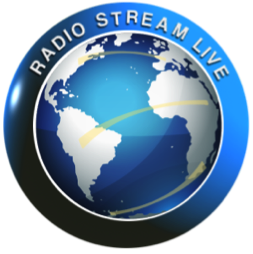 XP Broadcasting presents Radio Stream. Radio stream also known as Internet Radio is an audio service transmitted via the internet. Put your radio on the World Wide Web that is accessible via computers and most mobile phones. This way people from all over the world can listen to your radio station. We supply the hardware and software needed to get your radio up and running online. Let your audio stream be just a few clicks away. 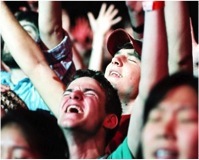 We do audio streaming for camps, projects, seminars, conferences and more. All your listeners will need is a computer or it can be accessed via most mobile phones. We supply the hardware and software needed to get you up and running online. Contact us and we’ll get your audio stream up and running. Welcome to our world of in-store radio. Think of in-store radio as a commercial station, only tailor made for your brand. We have Sport, News, Weather, Traffic and entertainment, while potentially selling you product. Why should you have in-store radio? Your in-store radio is your audible broadsheet offered to a captivated audience with the personal touch of a presenter stimulating impulse buying. It creates an inviting environment, while you customer is in arms length from your product. Our services can also include staff shows and training, operational information sessions, marketing campaigns, safety announcements and much more. Campus Radio is a type of radio station that is run by the students of a college, university or other educational institution. To us it is all about educating the pupils on campus and training them so that they can achieve their dreams. 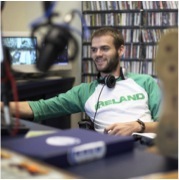 Many campus radio stations carry a variety of programming including news (often local), sports (often relating to the campus), and spoken word programming as well as general music. Often the radio format is best described as a freeform, with a lot of creativity and individualism among the disc jockeys and show hosts. We set up everything from the name of the station, the music, the competitions, times of shows and much more. We are the future of high school and campus radio. Outside broadcasting is the electronic field production of radio programs. 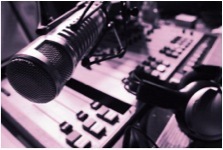 Radio station broadcasting is one of the services that XP Broadcasting presents.